Ed Balls' is apparently very happy with the outcome of the Labour leadership according to my source working in his campaign team. 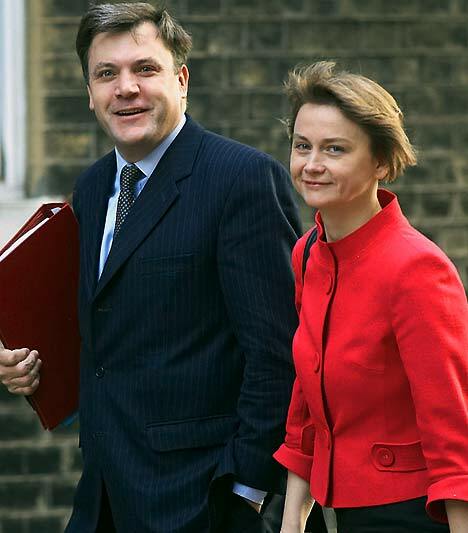 He feels that he is well positioned to take a good shadow position in the Cabinet along with wife Yvette Cooper. This is going to provide a nice income to keep them far out of harms way from all these dreaded cuts and handily placed for those MP's expenses claims. What I have noticed is Balls's canny ability to string out an economic stance to his benefit. Balls has outlined his view that what the UK needs is hugely more stimulus and no kind of cuts to the deficit at all. As he is a bright guy he has found some half decent evidence to back up his views and so there are some in the Media and the City who see him as being principled and perhaps even correct. Desperate to avoid or face reality, some will believe anything. What he is really doing is a typical politician's gamble in the Vince Cable mould. After all, if the cuts hurt and the economy staggers, Balls can declare victory and carry on haranguing at length. If the economy pulls through and the Coalition prosper, Balls is not going to to get anywhere near government anyway. Thus this is like Cable's conference speech, lacking in sanity except as an appeal to the populist masses. Balls has played the game well so far, he has 're-established' credibility and will bag himself a continuing role in the Labour Party. If he gets lucky, he may even be seen to be a star; I think this unlikely but then predictions are hard to make, especially when they are about the future. Yes, he's played it well. Pity he's a no-talent and will get nowhere fast. Interesting that voters seem to be indicating that David would have been better. My prediction is that he will be a thorn in Ed Milliband's side. I'm sure a Jewish party leader and a shadow-cabinet minister with a liking for dressing as a Nazi can do a hilarious Mel Brooksesque routine at Labour's Xmas bash.